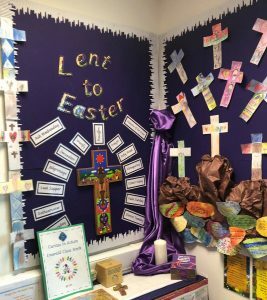 The aim of teaching quality Religious Education within the classroom is always to open pupils up to the mystery of God’s work. 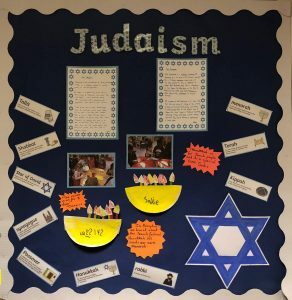 Staff strive to develop religiously literate children who are able to think spiritually, ethically and theologically. We encourage children to look at the world around them with a deep sense of awe and wonder at all of God’s creation. The Religious Education Curriculum Directory (for 3-19) is to provide guidance for the Religious Education classroom curriculum in Catholic schools. This helps to ensure that teaching and learning at St. Joseph’s truly reflects the vision and breadth of the teaching of the Church outlined in the Catechism. The document outlined below shows how the topics taught within the classroom meet these requirements over the next three years. 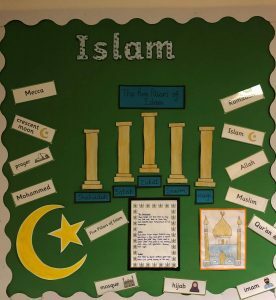 At St. Joseph’s, the children also learn about two other world religions, Islam and Judaism. 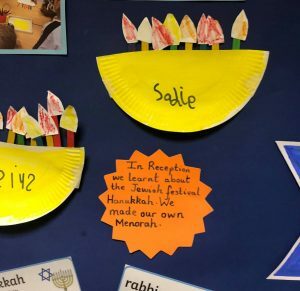 They will focus on a specific element of each faith at various times throughout the year (taking into account when festivals and celebrations fall). 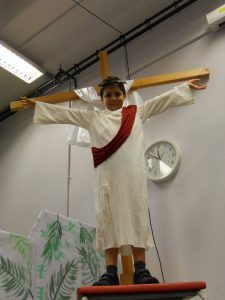 Click on the link below to see what the children will be learning about.